Kathryn Berzins is a Research Fellow in mental health at the School of Healthcare, University of Leeds. She was employed at the Universities of Glasgow and Manchester prior to moving to Leeds in 2015. She gained her PhD at the University of Glasgow in 2009 for research on the introduction of the 'Named Person' into Scottish mental health legislation. Kathryn is a mixed methods researcher currently working on a range of studies investigating safety issues for both service users and professionals in mental health care. She is specifically interested in the use of restrictive practices and service user and carers experiences of care and treatment (particularly that carried out under mental health legislation). 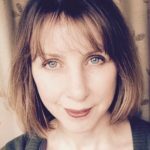 Kathryn is a mixed methods researcher with extensive experience conducting literature reviews, surveys, interviews and focus groups. She is currently developing a range of studies investigating safety issues for both service users and professionals in mental health care, in both hospital and community settings. She is particularly interested in the use of restrictive practices, service user and carers experiences of care and treatment (particularly that carried out under the Mental Health Act), and criminal behaviour in hospital settings. Kathryn is currently supervising two PhD students and would welcome enquiries from students, clinicians or researchers wishing to develop research in any of her areas of interest. Mental Health Act review: the demise of the nearest relative? Kathryn Berzins considers the implications of a recent rapid systematic review of the views and experiences of the Nearest Relative provision of the Mental Health Act (1983).